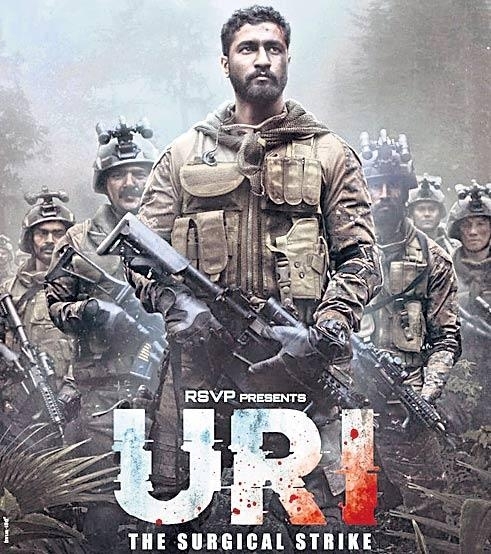 Mumbai, Dec 7 (IANS) Director Aditya Dhar, who is gearing up for the release of his upcoming movie "Uri", feels great that many political leaders have liked the trailer. However, he says that the film is made for the Indian Army and not for any political party. "I never thought about it but it feels great to see such a good response. It is an amazing feeling. It is great that many political leaders have shared and liked the trailer on social media but I have made this film for Indian Army and not for any political party," Dhar said in a statement. He added that this is the least "we could do as filmmakers for Indian Army." On claims of a lot of Indian fans showing support, he added: "I am glad but I want people to come and watch the film and realise that how much our Indian Army sacrifice." With much noise soon after the trailer was released, the tension between two rival nations (India and Pakistan) risen. "People will come to know about the reality once our film will be out on January 11, 2019." The film will see Vicky Kaushal playing the role of an Indian commando who is involved in the 2016 surgical strikes. It also stars Yami Gautam.